How do I shut my water off in my house in case of an emergency? Remove the protective cover from your meter box. Remember to replace this cover when you are finished. You will need a crescent or tee wrench (also called cut-off key). This wrench can be purchased at any hardware/home improvement store. Attach the wrench to the shut-off valve and slowly turn the valve clockwise a quarter of a turn. This will stop the water flowing into your home. Confirm that you have indeed closed the valve and stopped the water flow by going inside and turning on a faucet. To re-activate your service, attach the wrench to the shut off valve and SLOWLY turn the valve counter clockwise. There are many factors that can affect your water use such as time of year, house guests, etc. However, water leaks can often be a culprit with even the smallest of leaks using hundreds of gallons of water. It’s important to check for leaks often and fix them immediately. To qualify for a leak adjustment, your water usage must be double the amount you normally use. To determine your adjusted amount, we subtract 50% of the excessive usage (the amount above the average bill). We also adjust any penalties related to the leak bill. We will adjust for a maximum of 3months usage. You will be responsible for completing a Leak Adjustment Form and providing documentation that the leak has been repaired. This documentation may include a copy of your plumber’s invoice or a receipt from the purchase of leak repair supplies. Why do I have a previous balance on my bill? You may have overlooked your previous month’s bill, not paid the full amount (including penalty), or your payment may not have reached us in time to be reflected on your new statement. Call our office or visit “My Account” online for more information. I can’t register my account online. It says my account "doesn’t exist." You must enter your address exactly as it is shown on your bill under “Service Address.” Your “Mailing Address” may be different from your “Service Address.” You will find your “Service Address” in the top right corner of your bill. This “Service Address” must be entered in all caps with a lot number if one is present. A licensed plumber can help you investigate any of these problems that may exist between your water meter and your home or business. 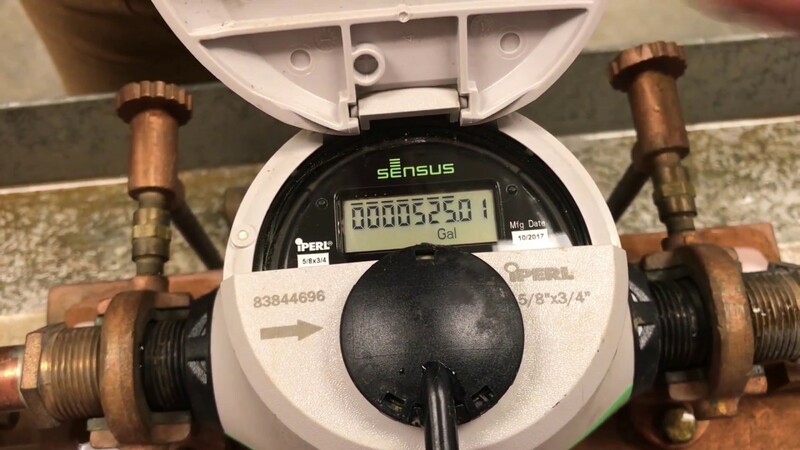 If you have investigated these potential causes of pressure loss and would like a technician to check the water pressure at your water meter, please contact our Customer Service Department at 615-672-4110. Call a licensed plumber in your area to determine what needs to be done. Visit our Community Education section for helpful water savings information. If you have questions about water quality, visit our Water Qality page.